We recently had the opportunity to give Orijen's Black Angus Beef Freeze Dried Dog Treats and I'm happy to say that they received Rusty's prestigious "Eyes Rolling Back in My Head" Award. 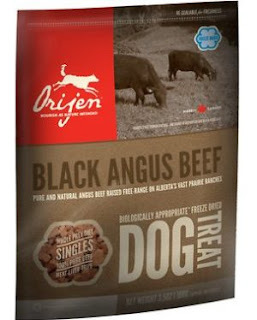 Orijen puts out a fine product made simply of beef and beef tripe. Rusty, who has been known to have a delicate stomach, digested the treats just fine. The texture is just right for an other dog and even those with a tooth left to spare will be pleased. These cubed treats have a flaky texture when crushed, but more or less hold their form. Regardless of the size of your dog, I find these an excellent training aid. Along with many other fine products, you can pick up a bag or three at Chewy.com and head straight over to the Orijen treat section. Disclaimer: We received a bag of these treats from our friend's at Chewy.com. No other compensation was received and this review is strictly based upon my experience with Rusty trying to strip the skin from my fingers to get one of these and his ability to digest the treat. 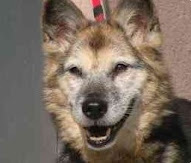 One of the benefits of writing this blog is connecting with folks all over the world who care so much about animals that it has become a part of who they are. Thanks to the power of the Internet, David Jensen is one of those individuals who I've had the privilege of virtually "meeting." His quest to find the right photographer for his wife and her loving senior dog some thirty years ago led him on an adventure that he gets to do for a living today: Petography. David's latest project is a photo book called, Important to Paws. You'll see a link on the right hand side of your screen that will launch a video about the project. It's imminently about to be funded so I wanted to share this with you all so you have the opportunity to get a first run copy of the book, and help fund David's dream to share what he describes as "[l]essons learned from animal companions." SP: How did you get started in Petography? DJ: In the mid-1980’s, professional photographers had no interest in portrait work with animal companions. I learned this after searching for someone who would be interested and skilled with creating meaningful portraits of my wife with her aging and beloved collie, Skyler. Our experience with the chosen photographer was adequate. She knew cameras. But she didn’t really ‘know’ dogs. Something inside started calling me. I loved animals. I had an interest in photography. The next step was to improve my photography. I did this through classes as I completed my B.A. in Journalism at University of Alaska Anchorage. The professional training was helpful. It taught me the basics. I also attached myself to a couple other photographers who were already established. That training, combined with my “Dr. Doolittle” abilities, were a perfect match. SP: "It's Important to Paws" is a looks like a great book. How did you decide to bring it to life now? DJ: Thank you, Jeff. I’m very proud of project. It’s absolutely a tribute to the animals and people I’ve worked with over the years. All of the credit rests with them. I decided to produce It’s Important to Paws during a mountain climbing adventure near Anchorage a couple years ago. After reaching FlatTop Mountain’s peak, I sat on a rock with Layla, my golden retriever/border collie mix and absorbed the moment. I was proud of our mutual accomplishment. We did something together that was a remarkable physical and mental challenge. We had one of those special bonding moments with each other. I paused and reflected on what had or has not been achieved in my life. I savored the moment of hearing nothing but wind in the mountains. That is when I accepted the long-procrastinated challenge of finally writing and publishing a book. SP: You mention commentary, in addition to pictures that will be included. What sort of stories or lessons are you considering sharing as a piece of this work? DJ: The stories in It’s Important to Paws are eclectic. They’re humorous, sentimental, anecdotal and sometimes biographical. Often, my writings speak from a cat or dog’s perspective. Knowing this, readers will have to consider truth (or my humor) to be akin to a dog chasing its own tail. If caught, one may not have any other choice except to release it and decide whether it’s worth chasing again. If it’s not caught, there’s always the next page. SP: You obviously have a wide range of subjects to choose from. What are some of the factors that you use when determining which images to use? 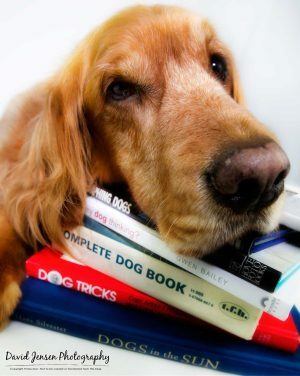 DJ: This book features more than 300 dogs, cats, horses, frogs, birds, reptiles and others. Each morning I leave for work with five big-hearted dogs staring at me with their needy eyes. Each pleads “Take ME to work today, Dad!” Yet, I can only bring one or two at a time. Dog noses try to poke through the house door as I close it with the day’s lucky two at my side. I feel guilty that they can’t all come to the studio. That’s how I feel about It’s Important to Paws. Animal companions who are featured in the book will have their 15-minutes of fame. The others get to be part of the next chapter. But they’re all in my heart every moment of the day. SP: Do you have any recommendations for people looking to get into the business or just trying to take better pictures of their pets? DJ: Photographing animals should be about the heart. The act of creating a photograph should be as much about the moment you and others are sharing together as it is about having a final image you’ll cherish. The best photograph on the wall is one that reminds you of the heart and soul of the moment. It should be about the experience. My concern with society today is the loss of legacies. A photo captured years ago would be artfully placed into an album or framed for generations to enjoy and reflect upon. Today, images (legacies) are erased with the click of a couple buttons or stored on a CD which will never be seen again. They’re posted on social media and are gone in 30-minutes after a handful of views. Memories and art deserve much better. Make the effort to preserve your favorite memories in a meaningful way. Go to the department store and buy a frame or two or three. Create a scrapbook or album. Electronics are great but they’re temporary. Prints are something you can touch and feel. Meaningful photography is about experiences, touching the heart, and feeling a connection to something that is everlasting. Thanks to David for taking the time to talk. You can learn more about all of the great work that he does on the Petography section of his website. If you live in Alaska, I can't think of a better legacy to leave then scheduling some time with David to capture the most important moments of your life with your four and two-legged family members. Check out the video below or jump right to his Kickstarter page learn a bit more about what inspires David and help bring this collection of memories to life. Photo and video by David Jensen.